Affiliations: 1 BioVision Inc., 155 S. Milpitas Blvd., Milpitas, CA 95035. email: Gordony@biovision.com. Phone: 408-493-1831 2 Henry M. Gunn High School, 780 Arastradero Road, Palo Alto, CA 94306.
across the cell membrane. 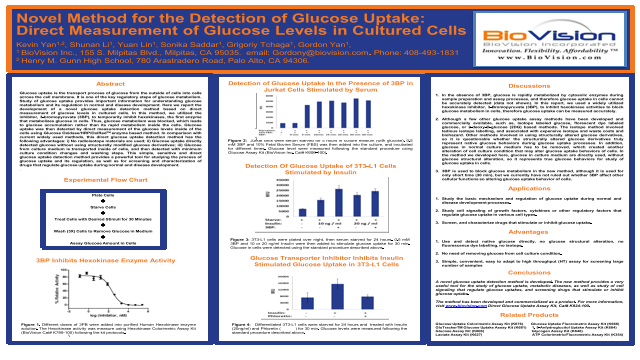 It is one of the key regulatory steps of glucose metabolism. The effect of Wharton's jelly mesenchymal stem cells conditioned medium on Squamous cell carcinoma cell line.